The team at Michael Bruce Image Consulting just wrapped up another great series of mini style session at the Bellevue Collection for Spring Fashion Week. Where they helped individuals freshen up their wardrobes for spring, with top picks and style tips for the season. Stay tuned for details of more events at the Bellevue Collection in the not too distant future. We wrapped up another successful week of Style Seminars, Private Consultations and Pop in Store Style Events. And of course we had the pleasure of hosting the accessories booth at the Posh Party fashion show. This as always, was a wonderful week of connecting people with their authentic style, and we are looking forward to next year. Stay tuned for details of more events at the Bellevue Collection in the not too distant future. 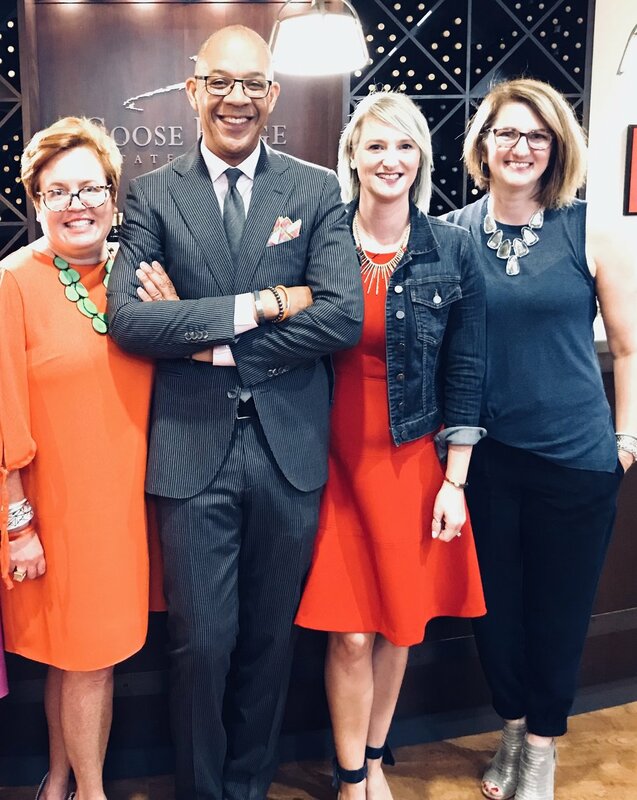 We have wrapped up another great year of wonderful style events at the Goose Ridge tasting room in Woodinville. We look forward to sharing more of these events with you next year, stay tuned for details of whats happening in 2019. We appeared on the Efficient Life, KKNW 1150 AM again with the wonderful Stacy Harris and Dave Nelson to talk about the events we were hosting during Fall Fashion Week, and what is new for Fall Winter 2018 this year. The Michael Bruce Image Consulting team were invited to Join Stacy Harris and Dave Nelson on their popular alternative Talk Radio show The Efficient Life on KKNW 1150 AM to talk about the transition into the spring and summer trends. If you missed the broadcast, not to worry you can listen using the link below. Bruce was recently invited to appear on New Day North West along side Darcy Camden of Styled Seattle. Three pieces from three different stores, styles two ways. Interested to see the results and what these two Image Consultants and stylist came up with? Hit play and enjoy the video. Michael Bruce Image Consulting, as a leader in the Pacific Northwest style community, is frequently engaged to provide seminars for both corporate and private audiences. Style Seminars are customized to meet your specific goals and needs. Whether it is to educate staff on how to dress successfully for the workplace, steer organizations requiring solid direction on how to dress to impress potential clients, we are experts in delivering that message. We also specialize in creating style presentations and seminars for private groups who are looking to elevate their personal style, learn about emerging trends and how to incorporate them in to their wardrobe, or simply how to create a comprehensive capsule closet. Education is a key componante in what we do, and we tailor that to our audience. For more details or to discuss your needs please contact us at 425 214 4155. King County Youth of the Year Awards. 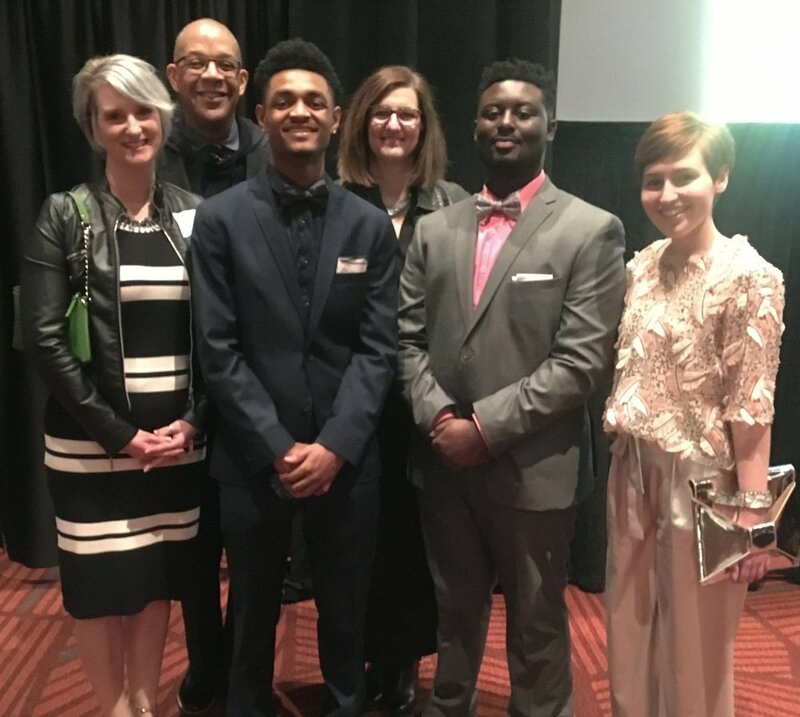 Michael Bruce Image Consulting had the honor of styling seven of the teen nominees again this year for the annual awards presentation luncheon. Congratulations to all the nominees this year, such an exemplary group of young men and women. We send special congratulations to Khairi Perry, this year's winner. We look forward to the opportunity of being involved again next year.